laundry room machines in November 2013. It's been a while since we've reported on laundry room break-ins. A rash of break-ins last November resulted in up to a dozen apartment buildings targeted for the coins inside their washing machines—mostley between Halsted and Lake Shore Drive from Waveland down to around Roscoe. There has not been a reported laundry room caper since a prime suspect was arrested late last year. Until now. 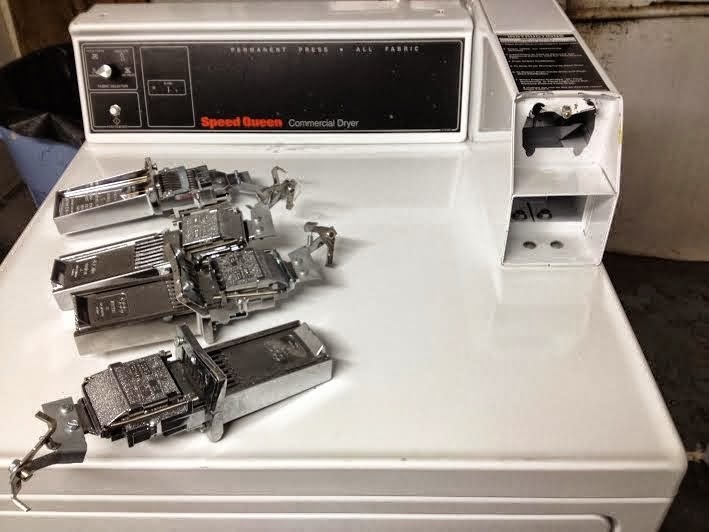 Two Boystown apartment buildings reported thefts from their coin-operated washers and dryers last Monday evening: One in the 700 block of Brompton and the other in the 800 block of Cornelia. The exact time of the break-ins is not known and no offender descriptions have been released. This would be a good time to ensure that laundry room doors and windows are properly secured. We suspect there will be more of these capers. 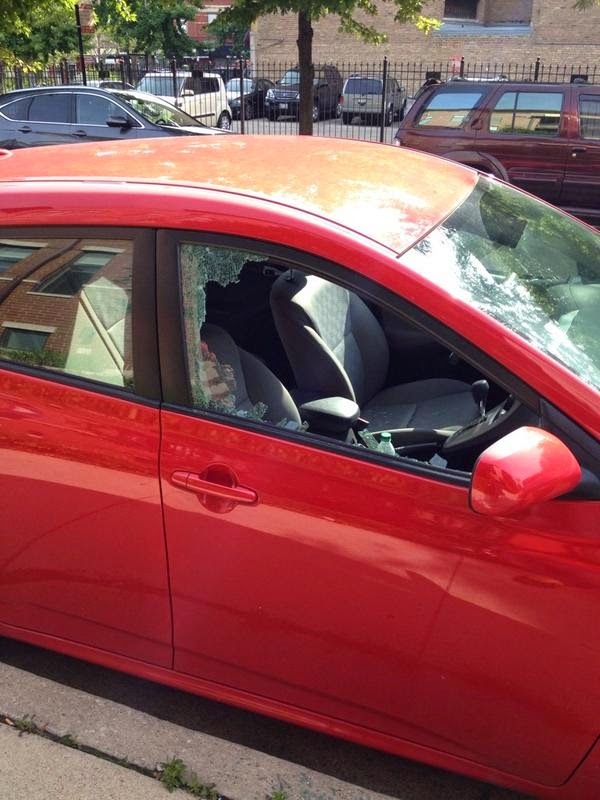 A large number of auto break-ins and reports of suspicious people checking car door handles and peering into vehicles have been reported over the past 10 days. Suspect descriptions have varied.